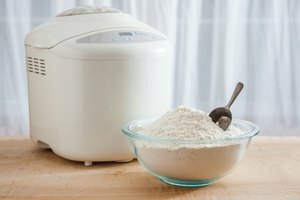 The White-Westinghouse Bread Machine is a simple and fast way to make a homemade loaf of bread. 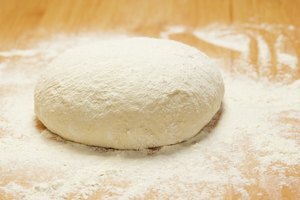 You can make any type of bread in as little as 2 ½ hours. You do not need to worry about the difficulty of kneading dough or making a mess of the kitchen. 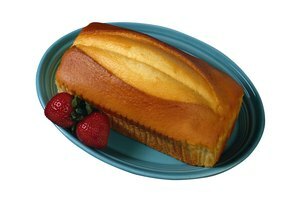 The White-Westinghouse Bread Machine does all of the hard work for you and you get the credit of making homemade bread. Remove the pan from the interior of the White-Westinghouse Bread Machine. The pan must be turned counter-clockwise to remove it. Make sure the kneading paddle is attached to the center of the pan. Using cooking spray or oil, grease the bottom of the pan. Heat 1 ¼ cups of milk and 1 stick of butter or 4 tbsp. of margarine in the microwave for one minute, or until the butter has melted. You may also heat it on the stove, but remove it before it comes to a boil as you do not want to burn the milk. Mix the warm milk and butter with 1 ½ tsp. of salt and 1 ½ tbsp. of sugar. Pour the wet mixture into the pan. Add 3 ½ cups of white flour on top of the wet mixture and use a finger to make an indention into the center of the flour pile. 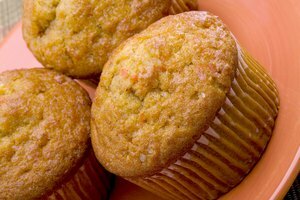 If you prefer whole wheat bread you can replace half of the white flour with wheat flour. Scoop 2 tsp. of yeast into the indention in the middle of the pile of flour. You do not want it to mix with the wet mixture as it may cause the yeast to react prematurely. Insert the pan back into the bread maker and turn it clockwise to secure it. Press the “Select” button on the top of the bread machine. Select option number “4” to make 1.5 pounds of white bread. Press the “Start” button and the bread machine will begin the kneading and baking cycle. It will take about three hours. Press the “Stop” button when you hear the timer beep indicating the bread is ready. 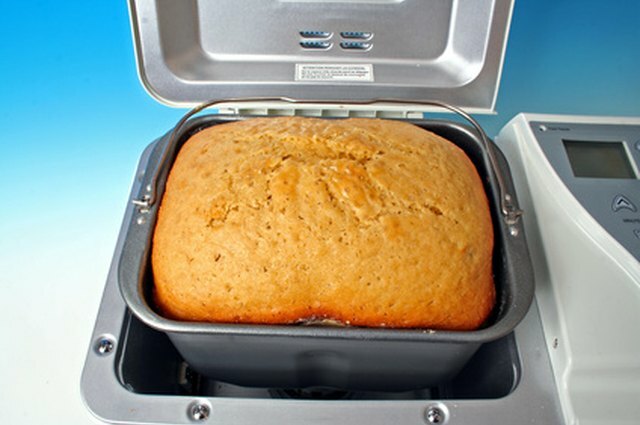 Using oven mitts, remove the bread pan from the bread maker. Gently turn the bread pan over and lightly shake the bread out onto a cooling rack. Let the bread cool about 30 minutes before slicing. Using the manual, you can see the different settings of the bread maker and adjust it according to the type of bread you are making.